Lucy’s twin sister, Margot, may be safely back with her—but all is not well in Plague-ravaged Dominion City. The Watchers have come out of hiding, spreading chaos and death throughout the city, and suddenly Lucy finds herself torn between three men with secrets of their own. Betrayal is a cruel lesson, and the Fox sisters can hardly believe who is behind the plot against them. To survive this deadly game of politics, Lucy is forced to agree to a marriage of convenience. But DNA isn't the only thing they want from Lucy...or her sister. 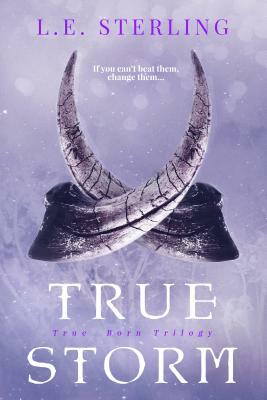 The True Born series is best enjoyed in order. L.E. Sterling had an early obsession with sci-fi, fantasy and romance to which she remained faithful even through an M.A. in Creative Writing and a PhD in English Literature - where she completed a thesis on magical representation. She is the author of cult hit Y/A novel The Originals (under pen name L.E. Vollick) and the urban fantasy Pluto’s Gate. Originally hailing from Parry Sound, Ontario, L.E. spent most of her summers roaming across Canada in a van - inspiring her writing career. She currently lives in Toronto, Ontario.